What would you do with your life if you found out you never aged and could never die? 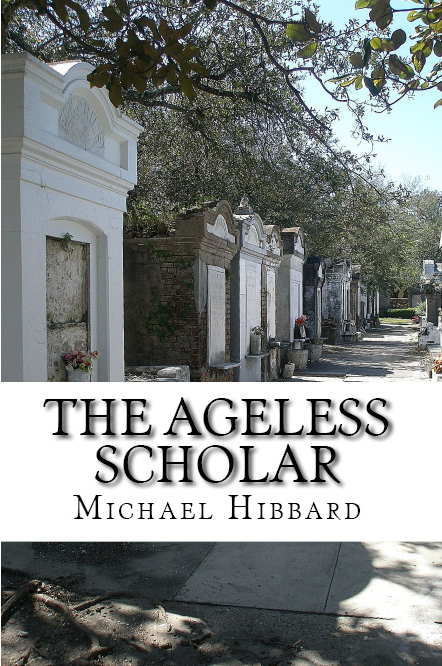 The Ageless Scholar is my first attempt at Southern Gothic. This is the story of a man named Nicolas Dumaine who was born in 1867 on a plantation south of New Orleans who has discovered that he has stopped aging at 34 – It is a chronicle of his journey’s through time as he explores his own self, as well as tries to use his gift to impart wisdom through his writings to make us aware of the endless cycle of violence, racism, poverty and crime that has halted our social evolution. Being motherless and essentially fatherless — having been taken from the womb of his mother moments after her death due to complications of the Yellow Fever epidemic that ravaged the Mississippi Valley in the mid to late 1800′s — he was raised by a nanny who teaches him not only how to be a good man, but also the secrets of Louisiana Voodoo, and how he can use it to survive a fractured post-Civil War America and hide his strange affliction from the rest of the world. It is a journey from Post Civil War America through nearly 150 years, to modern day, and how things have — and have not — changed since our country was fractured over the issues of all human rights.